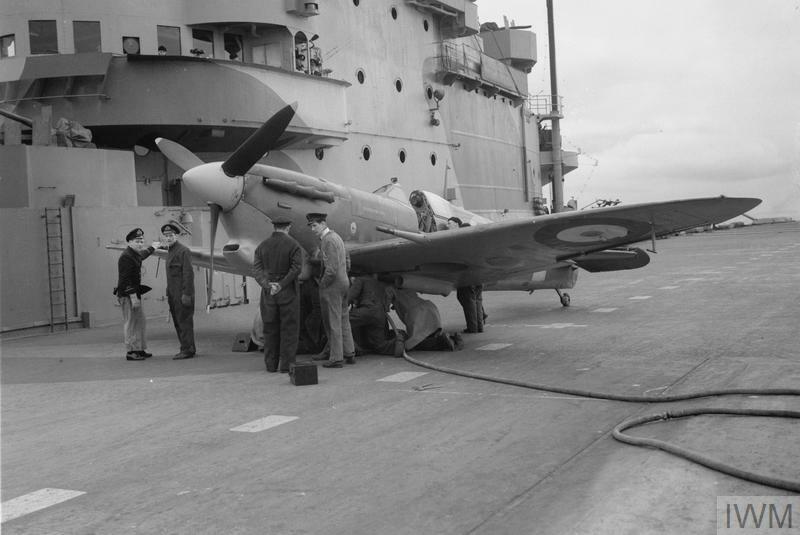 THE SUPERMARINE SEAFIRE: BRITISH NAVY'S NEW FIGHTER AIRCRAFT. 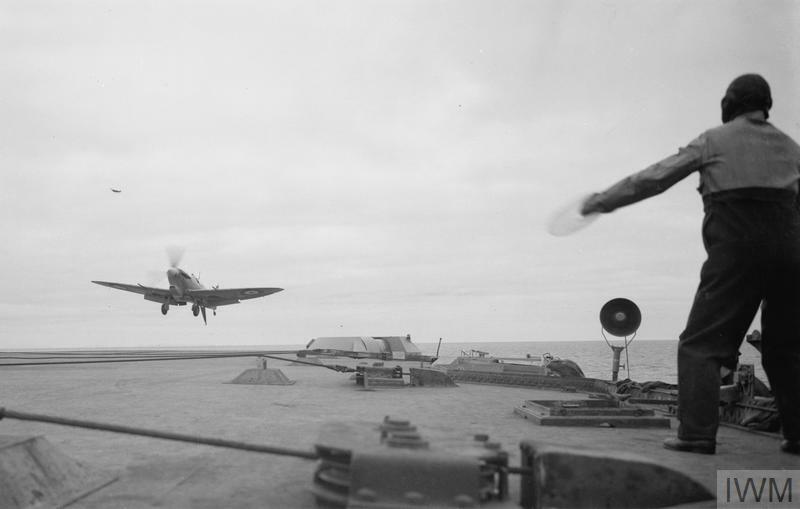 5 TO 12 MAY 1942, ON BOARD HMS VICTORIOUS. 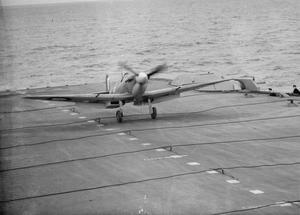 FLYING TRIALS FOR THE SUPERMARINE SEAFIRE. 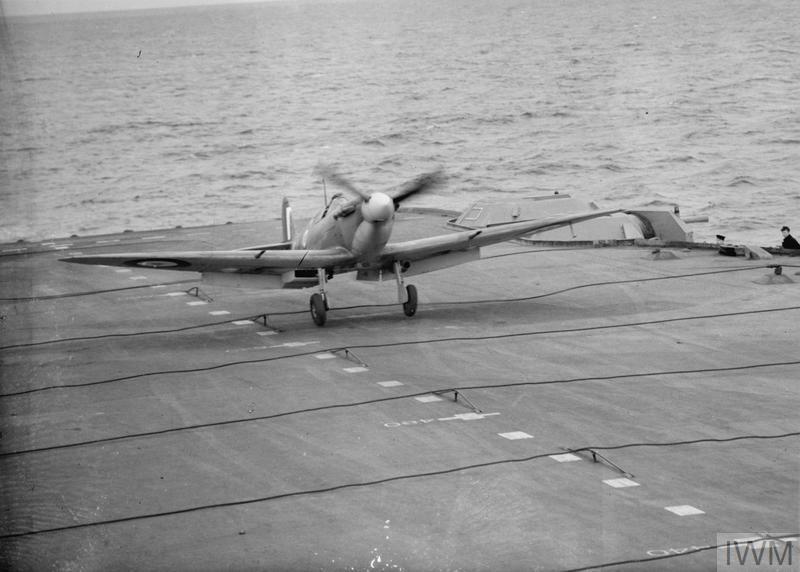 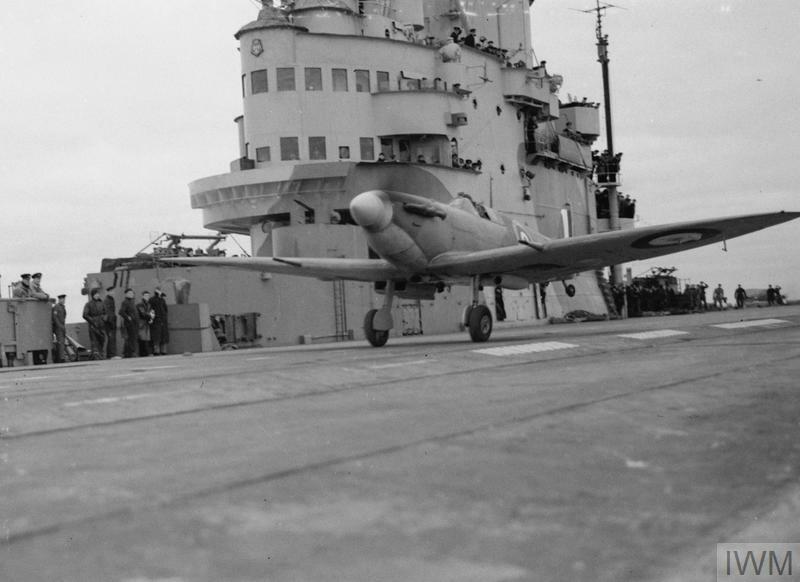 A Supermarine Seafire landing on the flight deck of HMS VICTORIOUS.